Two of the three games you can play at a casino that are capable of having near 50/50 odds are at a blackjack and video poker. What does this mean? It means you have a really good chance of winning, if you game right, and doing so it fairly easy. 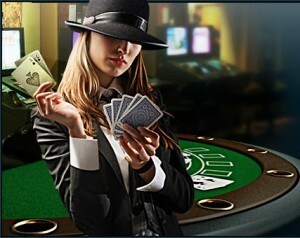 It does not matter whether you are playing blackjack at a regular table or a virtual machine, it is all about how you play, and there is a reason for this if you pay attention to the similarities. Playing right has to do with understanding the odds, so don’t get scared away by what is coming. What follows is more a combination of a little simple math, a lot of common sense, and a few basic, easy to remember principles. Instead of approaching a video poker machine wondering if you will get lucky, you should approach it with an aura of confidence knowing that it is not an ordinary slot machine, but a game that rests in skillful play. If you play an ordinary slot machine you are faced with random numbers. 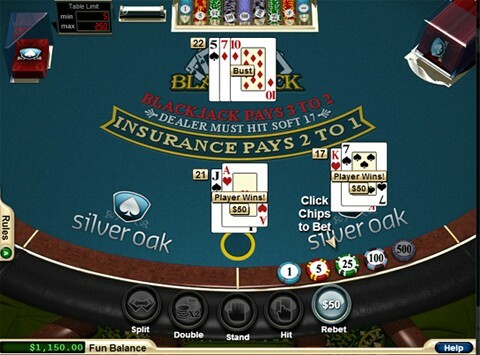 Depending on the number of symbols in a game, the random number can be huge which significantly reduces your chances of winning big – or winning at all. Poker (and blackjack) always use a fixed number of symbols that can only appear once in a hand. For example, you cannot have 2 Aces of Spades in the same five card hand. When you are dealt one Ace of Spades you are assured there are no more to be dealt. “Pay attention” – If you look away from a regular slot machine, the result will be win or lose, regardless of whether you are paying attention or not. In video poker, just pressing buttons randomly is almost a guaranteed way to lose. That is because it involves some skill! Follow the hands – This is more than just paying attention to a single hand. Even though the hands are dealt randomly, there is the payout factor. Casinos are required to pay out a certain percentage on slot machines. Video poker qualifies. People talk about “hot” machines but one of the reasons is that machines need to pay out, either by random odds or payout regulations. Either way, the player wins. Five losing hands, yet the J is always lurking. This is only an example, but paying attention and following the cards often shows whether you are trying for too much or reveals the fact that you are on a losing machine or having bad luck. Remember the advantage against the house is only slightly above 1 to 1, so getting greedy will usually empty your pockets. Avoid the 10s unless you have a really good reason – If there is one card that usually will doom a hand it is keeping a pair of 10’s or needing a 10 for a straight. People may disagree with this principle, and that is OK. There are times when four 10s are your best friend. But most of the time chasing them is like chasing a rainbow. It can happen to you – Yes, it is that simple. The odds of getting a royal straight flush is about 400,000 to 1. That seems like a lot. The odds of being dealt a royal straight flush from the initial draw is about 750,000 to 1. That seems near impossible. But why not you? It has to happen sometime right? True story – A man went to a casino with about $200 in cash and comps. He played for two hours and did nothing but break even. About midnight he sat down at a 5-play, 25 cent video poker machine. About 15 minutes later he heard the machine lock, the bells and whistles went off. He was dealt a royal straight flush, in hearts, netting him 20,000 quarters. A man behind him was heard saying, “I knew it would have to happen sometime.” He was right. Hope and optimism always have to be tempered with realism – If there was a guaranteed way to always win at video poker, the casinos would simply change the game to turn it back to their favor. Video poker and blackjack both take a certain amount of patience, so when you sit down in front of a machine don’t force things. The difference between the simplicity of video poker and the simplicity of regular slot machines is that slots are completely random, with the users input being nothing more than a start button. Sometimes we want that user-friendly, mindless enjoyment. But other times we need to feel in control of our own destines. So treating video poker like a real table game by playing with a strategy and you will likely get better results, meaning money in your bank.